Trees can make a significant impact on your lawn, creating the basis for a healthy and beautiful habitat. Hicks Landscape installs trees from saplings all the way to mature trees of varying species, depending on your preference. In time, they will grow into beautiful trees, towering over your lawn and property. The layout and positioning of trees on a property is key and can serve many purposes. These include creating shaded areas to enjoy throughout the year as well as paths or large open spaces. In the autumn months, the falling leaves may cover the lawn, requiring cleanup and removal. Hicks Landscape offers several lawn care packages, all of which include leaf removal. However, sometimes in order to create the perfect landscape, a tree or group of trees must be removed. Hicks Landscape also removes trees if necessary. We can work around or remove trees, depending on the project specifics, and the area in which we have to work. The basis of any landscape is the grass. Without a healthy lawn, the hardscapes or patios would not look nearly as good. Hicks Landscape Contractors specializes in removing unwanted grasses, such as Crabgrass, and installing fresh sod or turf. We are experts in a variety of turf installation and management including Fescue, Bermuda, Centipede, and St. Augustine grass. Whichever variety of sod or turf you choose, you can rest assured it will look smooth, even, and beautiful, with a lush green finish. Installing plants and shrubbery must be done carefully. Shrubs are difficult to remove and replant if initially placed incorrectly. Plant options vary greatly depending on sun/shade requirements, elevations of deck, porches, windows, and the space available to allow plants to grow maturely, without out-growing the area. Plant and shrubbery layouts and designs are vital to the rest of the lawn and landscaping process. 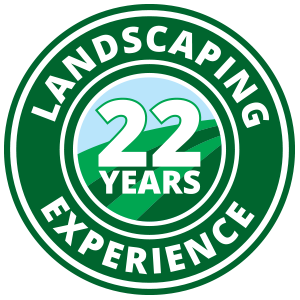 Our certified landscaping professionals can discuss the specific options during your free in-home estimate. Hicks Landscape Contractors works with many different forms of water installations. We can install small, relatively simple features, such as waterfall hardscapes. We can also install birdbaths and fountains as centerpieces to your lawn. Hicks Landscape also specializes in water drainage and irrigation systems, both of which are usually more complex projects, which may require more time and resources than smaller water designs. Please contact us via phone, or submit a request form to find out more about the many beautiful and fully functional water creations we can design and install. Hicks Landscape Contractors can help you with all types of grading issues, such as water shedding or water holding problems. Ditches and swales are also common problems that we have experience correcting. Improper water flow can cause serious problems to landscapes, such as pooling water, muddy lawns, and damaged hardscapes and patios. Drainage systems also help with taking the water away from the foundation of a home to help prevent mold under a house and other issues with retention of water in a home. We can install fully functional water drainage systems to preserve the quality of your lawn. Hicks Landscape can also repair most damaged water drainage systems that are already in place. However, severely damaged or corroded systems may require us to completely remove an old system and replace it with a new functional one. For more information on water drainage installation packages, please submit an estimate request form, or call our office to speak with a member of our team today. Hicks Landscape Contractors provides a variety of mulch and pine straw installation services, including the installation of playground mulch, cedar mulch, triple shred mulch, river rock and more. Learn more about our Mulch and pine straw installation services. Please contact us to start reinventing your lawn, garden, and home!